Flomatic® is proud to introduce the constant pressure pump control valve Cycle Gard® Model C153SS with a new added pressure setting of 70 PSI. The, corrosion resistance, Stainless Steel valve body with NPT connections and heavy construction, requires non-field adjustments. This Flomatic’s Constant Pressure Pump Control valve is designed to reduce rapid pump cycling and maintains a preset system operating pressure of 40 PSI, 60 PSI, or 70 PSI independent from low or high conditions which results in a longer service life system. The Model C153SS, non-closing and self-cleaning valve seat design, supports heavy hanging loads of up to 3,400 lbs., and fits in a 4” well casing. 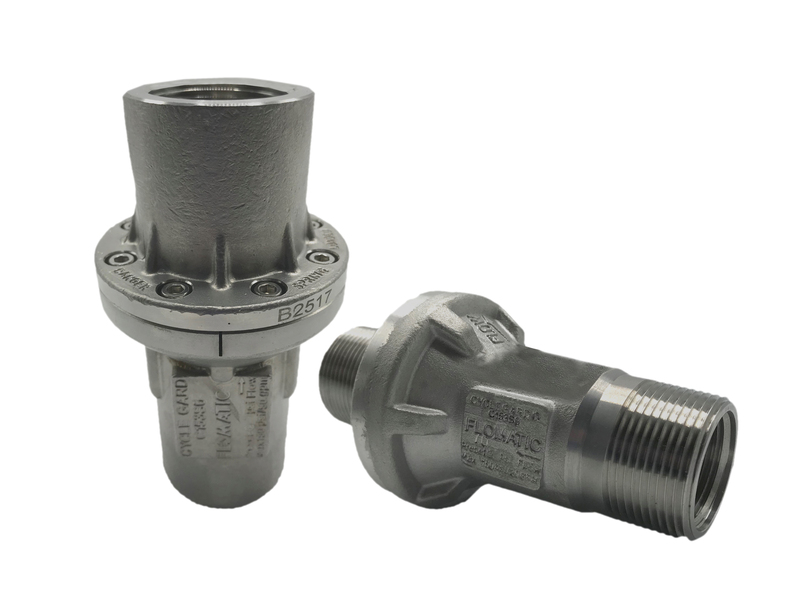 The Cycle Gard® Model C153SS available in two different sizes 1” F x 1 ¼” M and 1 ¼” F.
The 1” F x 1 ¼” M has a flow range of 1-20 GPM, (dual-purpose threaded connection) and the 1 ¼” F has a capacity flow range of 2-50 GPM. (Example: 70 PSI setting max pressure inlet pressure is limited to 220 PSI). The Cycle Gard® Model C153SS is NSF/ANSI 372 certified, covered with a 3 year warranty, and are available for immediate shipping.